-It was a regular skate, and all players were accounted for on the ice. From line rushes, it was learned that yesterday’s alignment is expected to hold up. 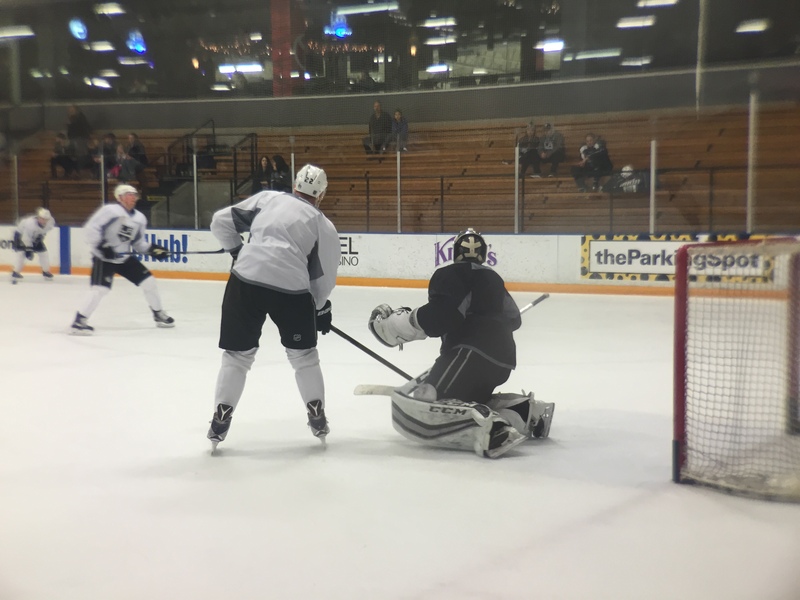 Expect to see lines of Lucic-Kopitar-Gaborik, Pearson-Carter-Toffoli, Lewis-Shore-Brown and Mersch-Andreoff-Nolan, with pairings of McNabb-Doughty, Muzzin-Martinez and Ehrhoff-McBain. 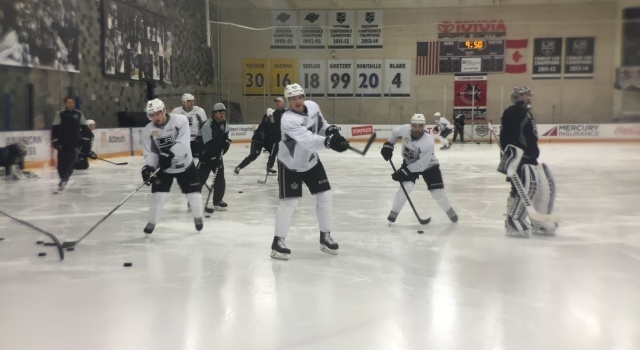 Per Kinkopf, Jordan Weal and Derek Forbort remained on the ice for extra work after the morning skate. Jonathan Quick is projected to start in net. -The Sharks will ice a different lineup from the last time they visited Staples Center. Logan Couture (arterial bleeding) and Joel Ward (upper-body) are out, while Marc-Edouard Vlasic (undisclosed) is questionable. San Jose is hoping to get Couture back shortly after the turn of the new year. Melker Karlsson (flu) is expected to play after being withheld from practice yesterday. Martin Jones will start in goal. Well, because it’s one game and then a three-day break, it’s not opponents, it’s just an opponent that happen to be a division game. The biggest thing for us is we haven’t played many games at home [recently], nor will we, so it’s important that we get a good effort tonight. Obviously there’s a difference because of the amount of times that you play ‘em going forward, and that they are in your division, and that it’s not like they have a whole bunch of new guys or that we have a whole bunch of new guys. Guys are pretty familiar with each other. It’s basically that match-up, that one-on-one, their big guy against our big guy, that sort of thing. Their big defenseman against ours … and other than that, not really. We’re looking at just trying to put a good game together tonight. We’re going to crawl in fightin’ ‘til the middle of April, if you want to be a playoff team.